This recipe from FITAZFK is just perfect! I’m a huge fan of halloumi and these fritters are such a yummy combination of flavors. I already made them a couple of times and so should you! I also replaced the halloumi with feta (same amount) once. Also very yummy. Let me know what you think and for more healthy cook inspiration buy the new cookbook from FITAZFK. 30 balanced recipes that don’t leave you hungry. What’s not to love? Avoiding gluten without avoiding flavour and avoiding cafe queues without avoiding the cafe meal. Add eggs for a protein packed breakfast, or because you like eggs. of grated zucchini. Combine with grated halloumi, green onion and parsley in a large mixing bowl. 2. Add whisked eggs and stir to combine. Sift flour and baking powder into bowl and stir well. 3. Heat fry pan to medium heat, spray with oil. Spoon fritter mixture onto pan and cook until golden brown and crispy (± 5 minutes each side). 4. Combine yoghurt, dill and lemon juice in a small bowl. 5. 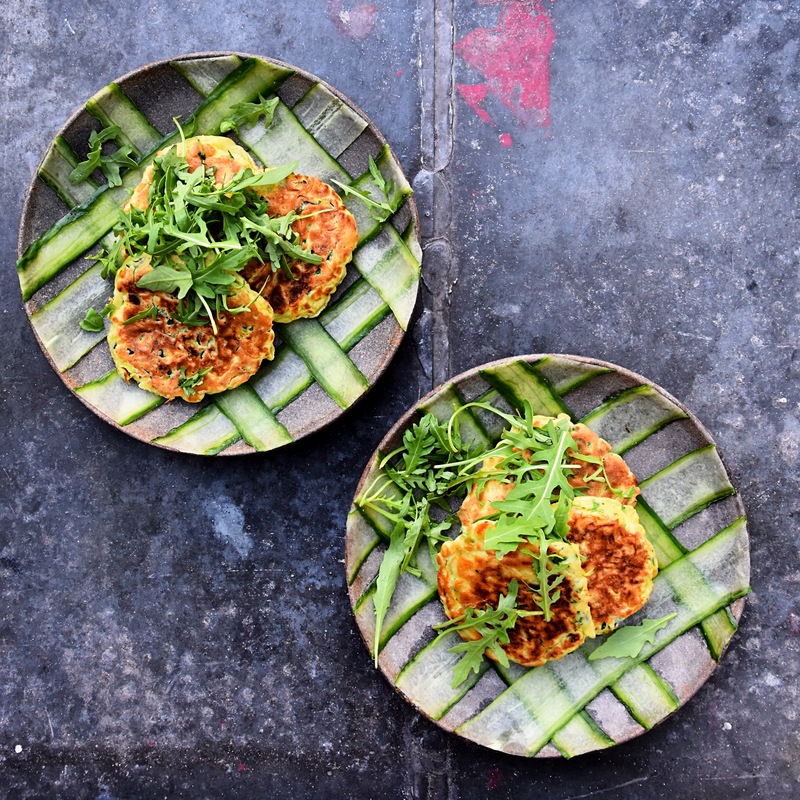 Serve fritters with dill yoghurt and rocket.